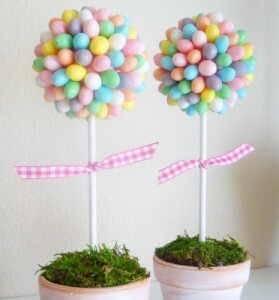 Candace at Crafty Sisters has two colorful decoration ideas to liven up any Easter table. She and sister Nicole originally made adorable jelly bean topiaries; rather than pruning the trees themselves, they pruned the jelly bean supply while creating them! The sisters followed up the topiaries this year with something more au natural – a true jelly bean tree. 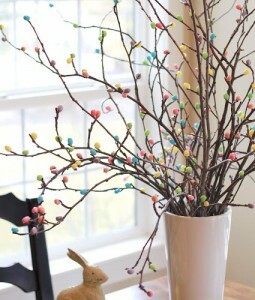 Re-use discarded branches from your yard and give them a new life with colorful jelly beans! They look just like little buds popping out for spring. 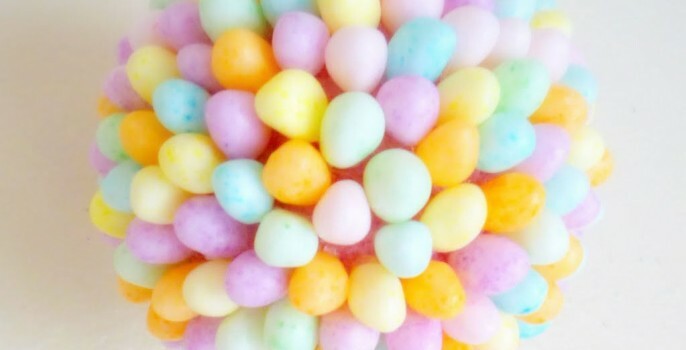 Both jelly bean decorations will give a little height and visual interest to your Easter feast.